Eren (Haruma Miura) leaves to restore a break in the wall destroyed by a Titan. He comes under attack by the Titans and is cornered. Shikishima (Hiroki Hasegawa) comes to his aid. The titans never stops attacking. 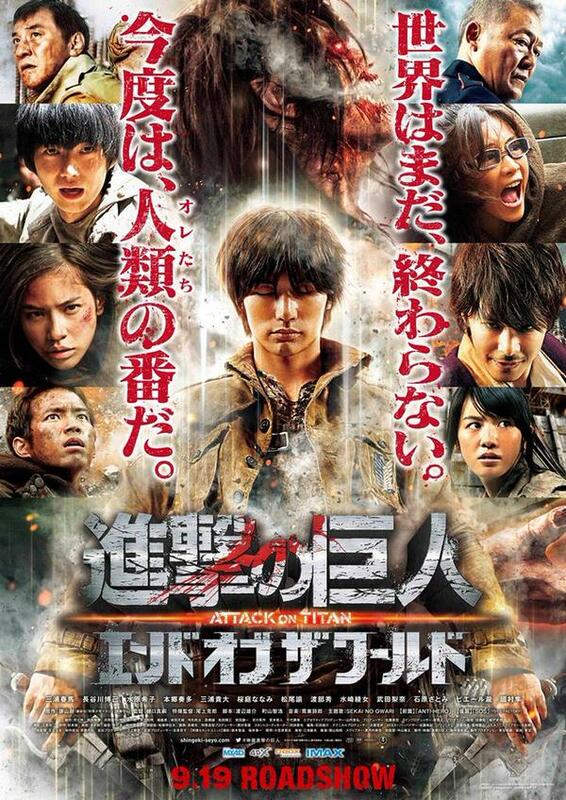 Eren is now injured and tries to protect Armin (Kanata Hongo), but is swallowed by a titan. A Titan with black hair appears and begins to expel the other titans. LeviIsBae Jul 02 2016 9:13 am i want levi T__T..for those who doesnt understand the story.. i recommend you guys to watch the anime..maybe it can give you some ideas about this movie..
eren's father was the one who created the titans?? but it was said that the titans appeared like 100 years ago...? Nova Pluto Sep 27 2015 3:01 pm -_- Really? No Levi? No Petra? There the best to charecters. Levi is Levi Sep 18 2015 8:30 am Lee Seo Hwa: No, Shikishima is not Levi. Levi is not that old and he won't do what Shikishima did. Lee Seo Hwa Sep 07 2015 11:38 am Is Shikishima Levi?? Yan ♡ Aug 16 2015 8:46 am Will they show this globally or in Japan only? I can't wait!